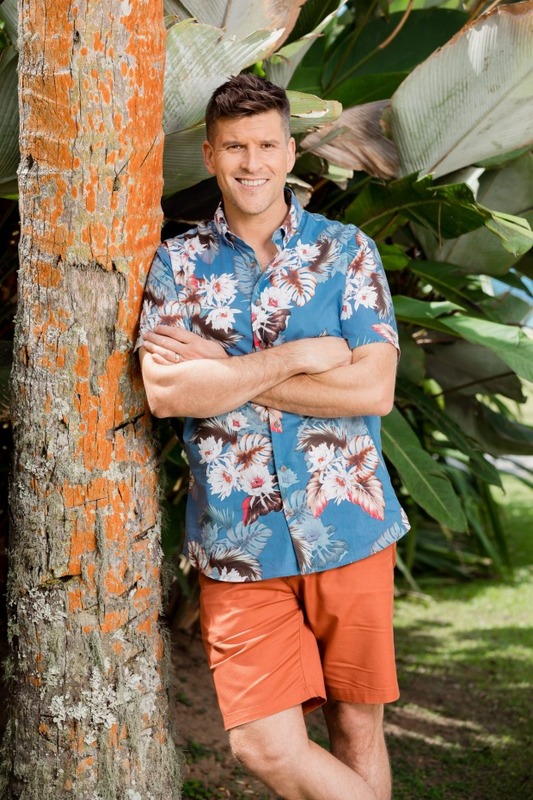 The first time I met Osher Günsberg I wasn’t sure what to expect. I had vague recollections of watching Osher on Australian Idol many years ago, and yes, I had occasionally seen the man with the rose on The Bachelor watched mainly by my kids, of course. My first encounter with Osher was at the SANE Australia office in Sydney and I was immediately struck by his decency, warmth and humour. I was curious to understand whether he was aware that our work was focused on dealing with the 4 million Australians who are directly affected by complex mental illnesses such as bipolar, schizophrenia, borderline personality disorder, PTSD and eating disorders. I wondered whether he might have a family member or a friend who had been living with a complex mental health condition. I wasn’t expecting him to be very open about his own experience of walking down Venice Beach in California experiencing an episode of psychosis. I was even more surprised when a few months later he was on stage addressing senior financial executives at Bloomberg’s office in Sydney who were celebrating the year’s end for the Future Generation listed companies set up by Geoff Wilson from Wilson Asset Management. Osher spoke candidly about his own experiences to these senior business people and continues to speak openly to the wider public through his weekly podcasts, including in a recent podcast interview with Geoff Wilson. Over the past few years, we have seen more and more senior figures in politics and business talk about their own experiences with depression and anxiety. This is a very good thing. But very few ever speak openly about their experiences dealing with the complex conditions. While we still have some way to go in reducing the stigma around depression and anxiety, we have miles to travel when it comes to these more complex conditions. We have an especially long way to go when it comes to the business community. Take bipolar. Last year, when I was speaking about these conditions with a member of a leading Australian law firm, he remarked that “people like that don’t work here”. Little did he know that one of his senior partners had publicly spoken about his own experience of managing bipolar disorder. And far too often, people like me will be happy to talk about dealing with depression when bipolar is the underlying condition. Of course, there can be a fine line as to what constitutes an illness and the severity of condition sits on a continuum. This applies to conditions like schizophrenia. When I joined SANE Australia one of the first people I met was Jackie Lane. Jackie was a SANE Speaker and publicly shared her experience of schizophrenia with a view to helping others. But what surprised me – and spoke to my own stigmatised views of these illnesses – was that Jackie for many years had been an executive assistant and board secretary at the Victorian Equal Opportunity and Human Rights Commission. Fast-forward a few years and Jackie is working as my EA, managing and supporting me as CEO and Company Secretary to SANE Australia. If you didn’t know she lived with schizophrenia, you wouldn’t know she lived with schizophrenia. One of the things that strikes me most about Jackie’s contribution is that people like her, and Osher, bring an insight, compassion and professionalism that makes them such huge assets in the workplace. But they don’t fit the false stereotypes so often portrayed in the media and on our screens. We are making some headway in reducing the stigma around depression and anxiety but have a long way to to when it comes to complex mental illness – especially in business. We need to hear more stories from people in the business community dealing with these complex conditions. Last year, I had the privilege of meeting a very senior figure in the financial industry who had been very open with his colleagues about the severe mental health challenges faced by members of his family. This openness led to many more staff across the organisation starting to share their stories of living with these challenging conditions. It’s vital that business leaders create a safe environment where we can start these conversations early on so that we are not waiting until things reach crisis point or, in the most tragic of circumstances, lives are lost. I was also told of a CEO who lives with schizophrenia but who doesn’t yet feel comfortable revealing his condition to his colleagues – it would be great if he could. This not only shows that people who live with complex mental illness make valuable contributions to their workplaces, but they could also create a space for others to be open about their own experiences. The roads to wellness are many and varied. For many of us the recovery journey stretches over many years. Change comes over time with persistence, quality treatment and a supportive community of family, friends and work colleagues. Jack Heath is the CEO of SANE Australia and has lived with bipolar disorder. He was the founder of ReachOut.com and served as a diplomat and Senior Adviser to Federal Ministers, including prime minister Keating.